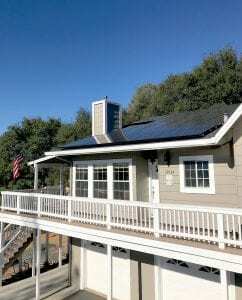 Why sign a 20 or 25 year lease or PPA (power purchase agreement) when you can get a system installed with us and take a solar loan that offers similar monthly payments as those long term agreements but gives you much more flexibility over time to pay off the loan. Also, there are no escalators or ‘end of term’ buyout questions and no issues of transferring of agreement when you want to sell your house. When you own your solar system you become eligible for a 30 % Federal tax credit on your solar system purchase. In addition, with most solar loans that are funded with a home improvement loan, you can also deduct the interest on your taxes each year. Speak to a Go Solar Pro energy consultant to find out how solar can help you save on your monthly energy bill, all while making the planet a better place with clean, renewable energy.